A US woman who joined a plot to kill a Swedish artist whose cartoon offended Muslims has been sentenced to 10 years in prison. 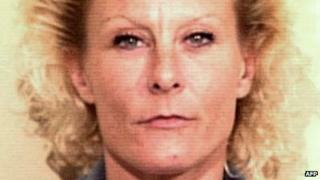 Colleen LaRose, 50, who dubbed herself Jihad Jane, admitted in 2011 she sought to kill Lars Vilks and recruited others to the cause. She faced up to a life term but a judge reduced her sentence in part because she co-operated with investigators. "I don't want to be into jihad no more," LaRose said at the hearing. Mr Vilks was targeted after he drew a cartoon depicting the Prophet Muhammad as a dog. Islamist militants in Iraq offered a $100,000 (£61,000) reward for his death. But the murder plot went nowhere. LaRose was found to have conspired to kill in a foreign country as well as provide material support to terrorists, along with attempted identify theft and making false statements. Prosecutors acknowledged LaRose co-operated with authorities after her arrest, but had urged the judge to sentence her to decades in prison, claiming she remained dangerous. LaRose and fellow conspirators "recruited men on the internet to wage violent jihad in South Asia and Europe and recruited women on the internet who had passports and the ability to travel to and around Europe in support of violent jihad", according to an FBI statement on Monday. LaRose travelled to the Republic of Ireland to plot the murder with an extremist group, but left after six weeks. Assistant US Attorney Jennifer Arbittier Williams told the court that LaRose had only departed as she "grew frustrated because her co-conspirators were not ready for action". LaRose's lawyer Mark Wilson argued the Pennsylvania woman had come to understand the peaceful tenets of Islam and said "there's virtually no chance that she would ever be involved in violent jihad ever again". LaRose, who has already spent four years in prison, told a judge on Monday she had become obsessed with violent action in 2009, thinking about it from morning to night "in a trance". Speaking before the sentencing, Mr Vilks told BBC he believed LaRose could be set free. "I don't think she's dangerous anymore because now everything is [out in the open] and I don't think she's able to do anything more that could be dangerous," he said. "From my point of view there is nothing to gain from putting her behind bars." But prosecutors argued a heavy sentence was needed to deter others. "If you plot to kill someone, you are going to receive decades behind bars - decades - even if you co-operate," Ms Williams said. US Attorney Zane David Memeger said the case "clearly underscores the evolving nature of the terrorist threat we now face in this country". Two other alleged participants in the plot, Jamie Paulin Ramirez and Mohammad Hassan Khalid, are also scheduled to be sentenced this week. Is the role of women in al-Qaeda increasing?